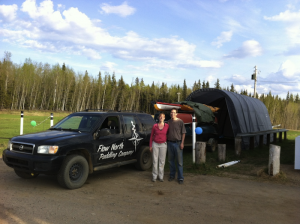 We are excited to announce that Flow North will be operating out of a new base this summer! We will be located in beautiful Grouard, Alberta, on the western end of the Lesser Slave Lake. 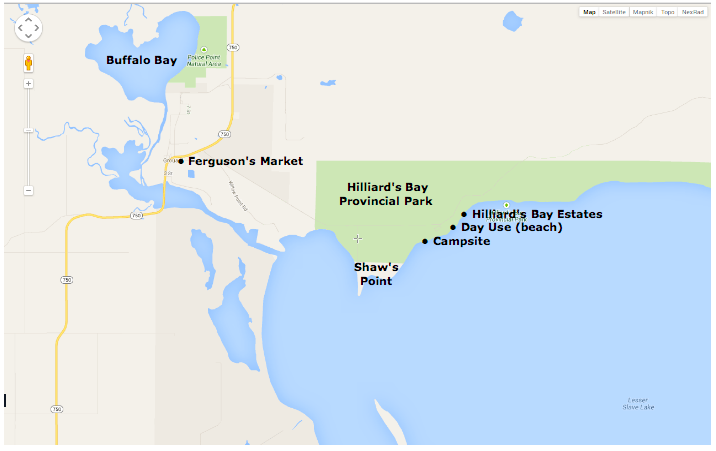 Grouard is about 33 km from High Prairie; go west on Hwy 2 and then turn at Hwy 750, when you see the large blue signs for Hilliard’s Bay Provincial Park. From Edmonton, head North to Slave Lake, then drive West on Hwy 2 for about 100 km and watch for the large blue sign. After driving on Hwy 750 for about 15 km, you’ll see the lake and drive across a low-level bridge across the channel. Our base will be at Ferguson’s Market, a large blue metal building on the right side of the highway as you approach Grouard, less than a kilometre after the bridge. – the boat can also be reserved for whole day tours if desired. – the boat can accommodate a maximum of 7 rowers (adults and large teenagers) and 3 children, but tours can run with a minimum of 4 rowers. Check back on our website for more details as we fill them in. Please note that as a result of this move, we will not be offering canoe rentals or parties in the High Level area.